You have added Strapless Floral Lace Bustier Dress in Jade/Taupe into shopping cart. FINAL SALE. This fun and flirty little dress is sure to delight. The Strapless Floral Lace Bustier Dress is fully lined. The bust is crafted of floral lace and has a sweetheart neckline and subtle bustier cups. The attached skirt in is made of fluid, floaty chiffon, creating a flirty shape. A hidden back zipper completes this dress. The Strapless Floral Lace Bustier Dress would be perfect paired with pumps or heels for a pretty date-night look. Fit note: This dress runs small; consider sizing up. 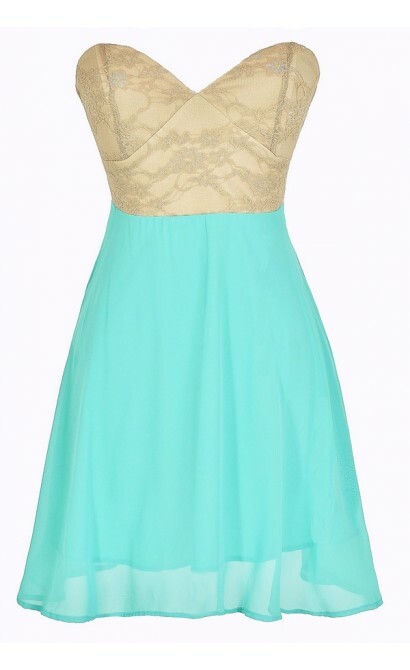 You have added Strapless Floral Lace Bustier Dress in Jade/Taupe into Wishlist. You have added Strapless Floral Lace Bustier Dress in Jade/Taupe for Stock Notification. You have set Strapless Floral Lace Bustier Dress in Jade/Taupe as a loved product. 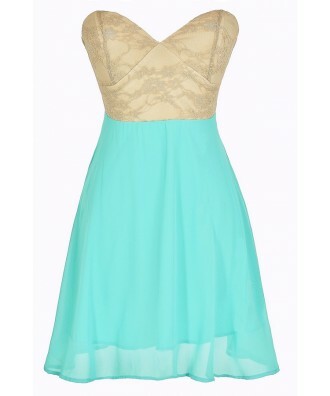 You have removed Strapless Floral Lace Bustier Dress in Jade/Taupe as a loved product.